My wife got me the Star Trek Trilogy collection (ST 2, 3 & 4) on Blu-Ray for my birthday and after re-watching "The Voyage Home", I got inspired to do this peice in gouche. I love this scene, I crack up everytime. 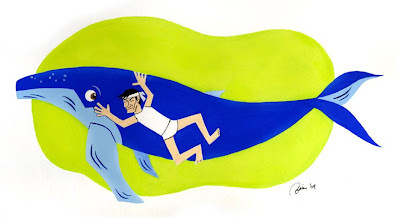 Kirk's reaction to Spock swimming with the whale is priceless and I've often thought that the whale's was pretty much the same. 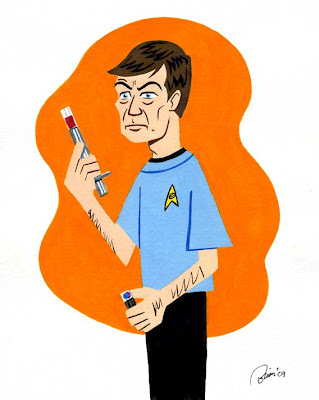 Leonard "Bones" McCoy has always been my favorite Star Trek character, now he's my wife's fav too. So, I did this portrait in gouche upon her request. Stay tuned, more characters to come! I made these a while back, but I keep forgetting to do a blog post about them (even though they've been on my website gallery for a while). These are custom Mini Munnys I made for my niece and nephew for Christmas. I forgot to take pictures of them so Braden, my nephew, was kind enough to take pictures for me. The first one is of Foo Fighters front man Dave Grohl. 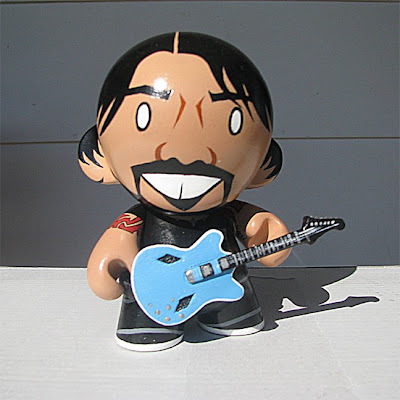 Braden and I are both big fans (I took him to his first Foo Fighter's concert) and thought Dave would make an awesome Munny. 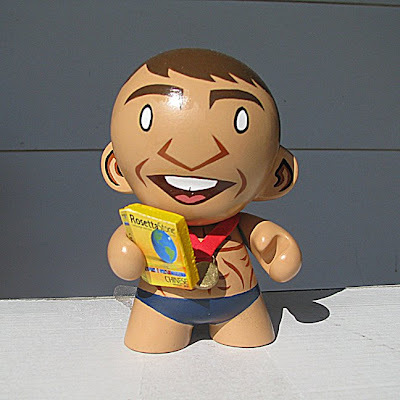 The next one I did for my niece, Katie, was of Michael Phelps with a gold medal and Rosetta Stone to help him learn Chinese. Yeah, go ahead and make your stupid pot smoking jokes -- I still think he's cool. I did this before all of that happened though.